VibrantCare Physical Therapists are highly-educated, licensed health care professionals who help restore a patients’ quality of life through superior clinical care. Our experienced clinicians will perform a thorough musculoskeletal exam, discuss their findings and propose treatment options to help achieve your lifestyle goals. 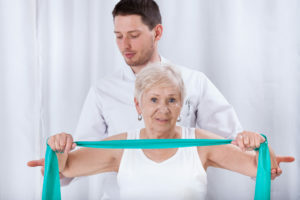 Our treatments may include therapeutic activities and exercises, manual therapy techniques, neurological re-education and various modalities to reduce pain, improve mobility and help you return to the highest level of function possible.